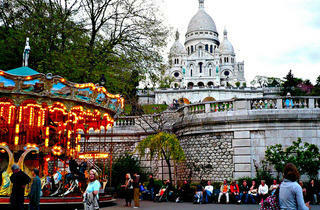 Sacr&eacute;-CoeurChristmas cheer abounds in Montmartre, so take a few spins to really soak it all in. 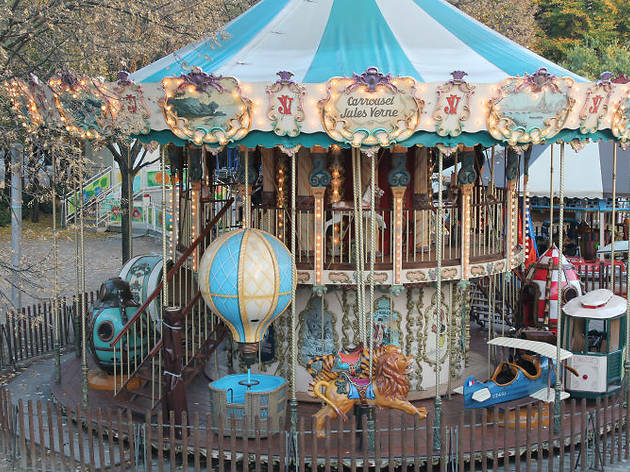 After taking a stroll around the artist&rsquo;s stands at Place du Tertre and visiting the Sacr&eacute; Coeur, relax on this Venetian 18th century merry-go-round at the foot of the Butte. 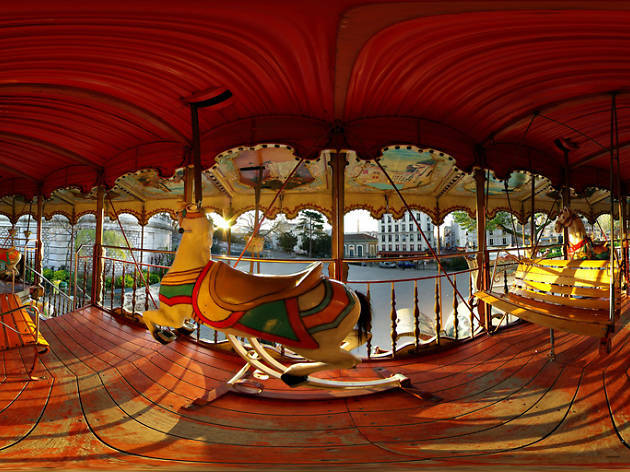 @ Flickr/LodyséedekloéMus&eacute;e des Arts Forains In a former Bercy wine market, is an extraordinary cabinet of curiosities dedicated entirely to the fairground arts. 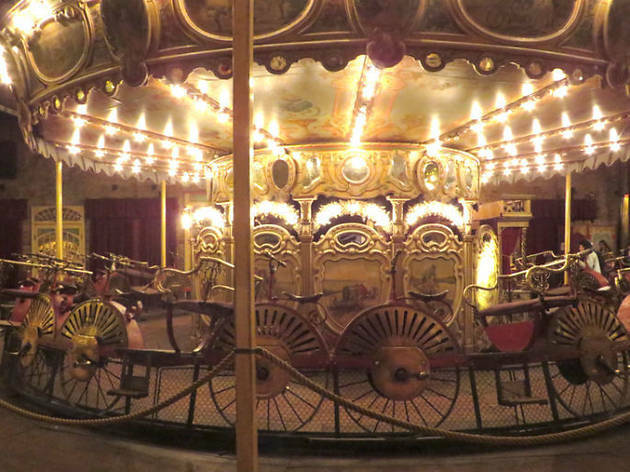 In this unusual dreamlike museum, expect to marvel at a crystal chandelier suspended from the roof, a magic fountain, an elephant balloon, a unicorn playing the piano...and of course, beautiful carousels of wooden horses or Venetian gondolas. 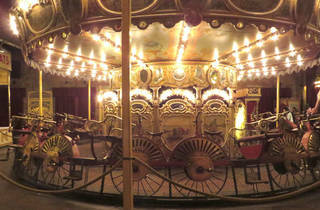 A magical must-see for any family. 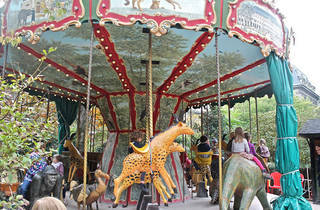 @ C. GaillardJardin des Plantes Budding explorers will delight at this prehistoric menagerie at the heart of Jardin des Plantes. 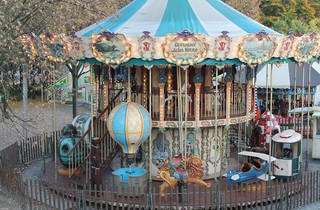 The animals of this exotic carrousel have all disappeared or are in the process of extinction; a dodo, a triceratops, a thylacine (a Tasmanian wolf which became extinct at the beginning of the twentieth century), a horned turtle, a panda and several sivatheriums (a hybrid between the giraffe and the deer). 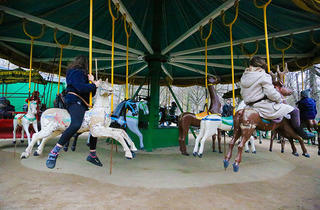 It&rsquo;s a poignant reminder of the fate of wild animals at the hands of man. 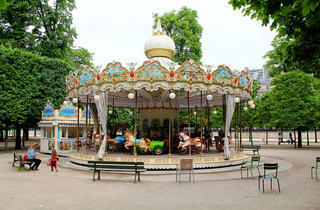 @ C. GaillardParc Buttes Chaumont Nestled in the thickets of this huge hill of the 19th arrondissement, the Buttes Chaumont merry-go-round is unlike any other in Paris. 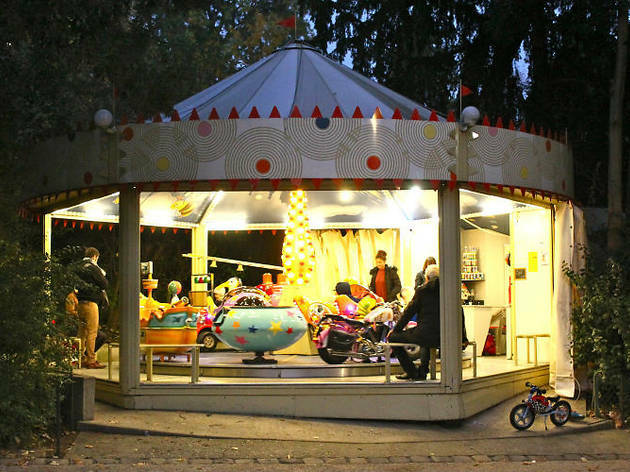 Hexagonal, with a grey colour scheme, it looks more like one you&rsquo;d find at the exit of the supermarket, rather than in this beloved corner of the city. 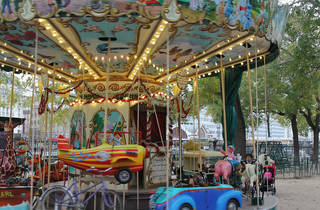 Look out for the fish with prominent cheekbones, duck with flirtatious lashes and the candy floss pink Harley Davidson. 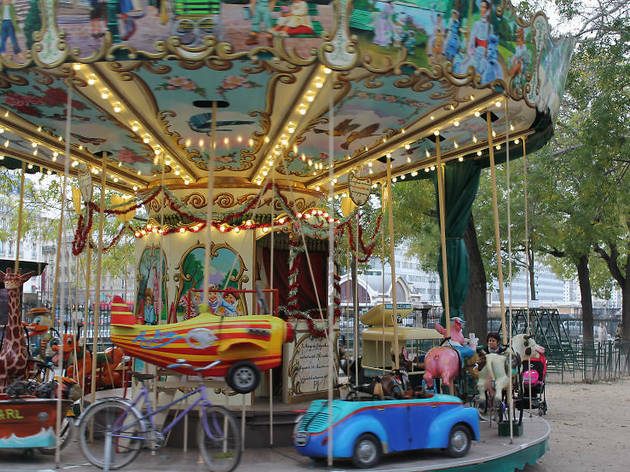 @ C. GaillardSquare des Batignolles A sailing boat, a daisy-covered cow, a piping pig, an airplane, and even Donald Duck in a glittering canoe-boat. 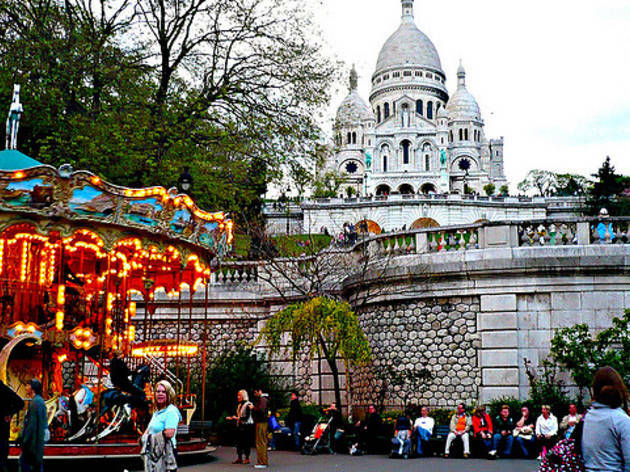 We&rsquo;re not sure how they&rsquo;re all linked but it&rsquo;s charming nonetheless. 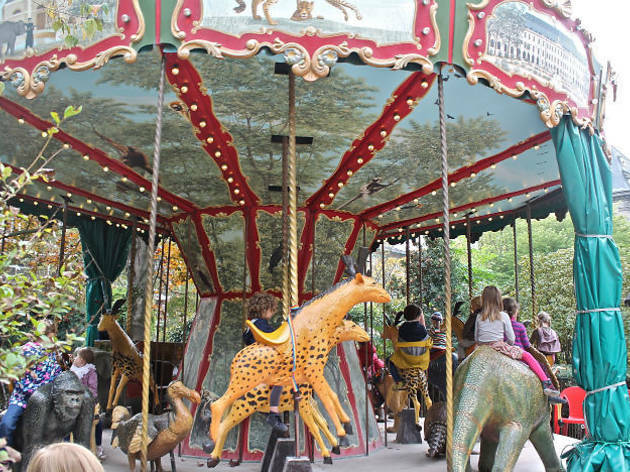 Accessible on the 66 bus, which runs from Clichy to Opera via Les Batignolles, this is the perfect excuse to take the kids out of the inner city hustle. 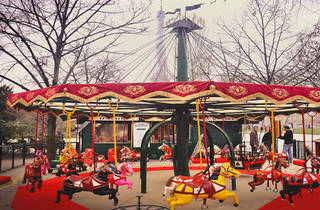 Christmas in Paris may be a season of roasted chestnuts and church choirs, but it’s also a time when the sharp, sweet scent of cotton candy makes the nose tingle, and the tinny music of the city’s merry-go-rounds floats in the air. 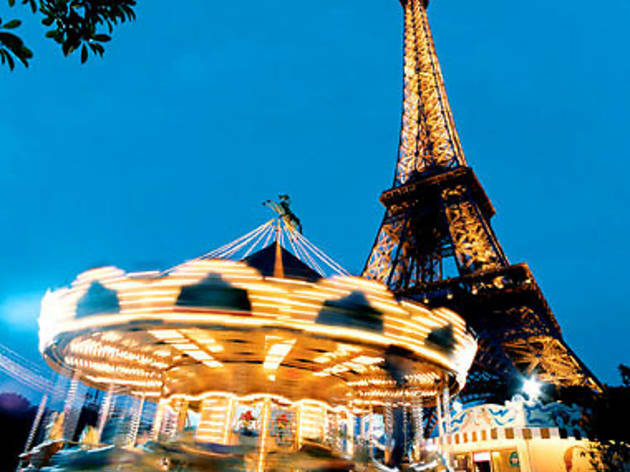 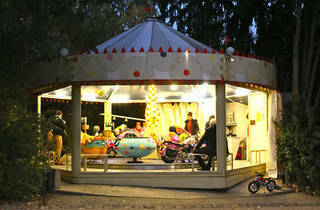 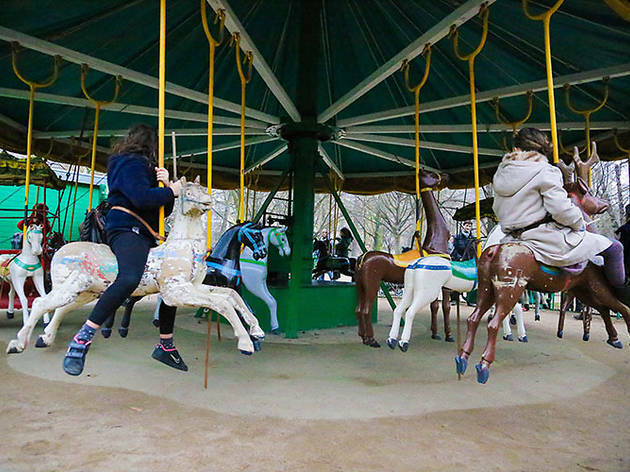 Even out of Santa season, Paris is heaven for kids looking for a sweet ride: carousels are an entrenched part of French childhood, as are the games of rings played on them. 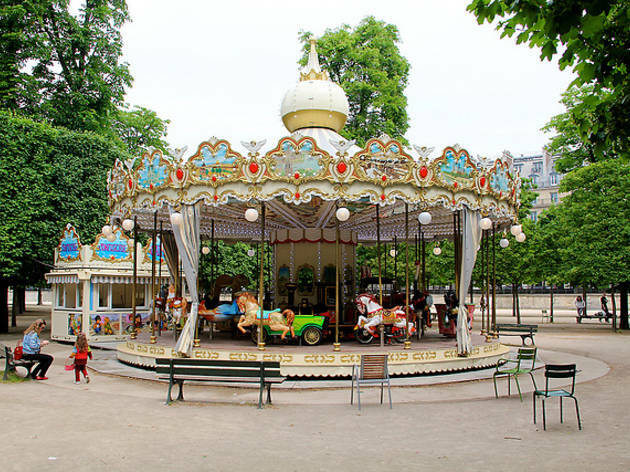 Most parks in Paris have one, such as the one in the Jardin des Plantes, with its dodos and dinosaurs, and the small one at the Jardin de Luxembourg, not grand or fancy at all, but well-loved, with its weathered elephants and unembellished horses. 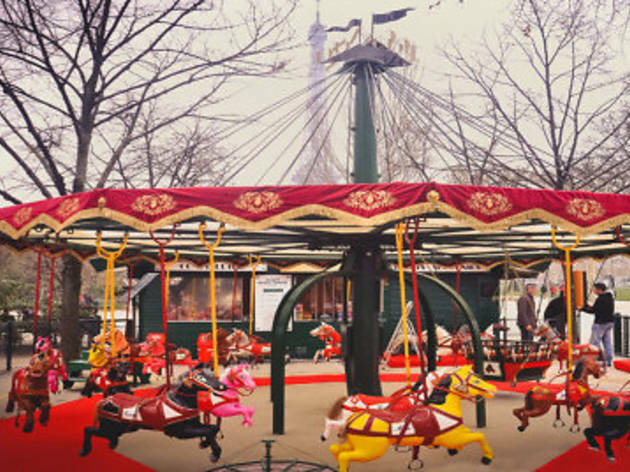 During the holiday season, often children can ride the many carousels for free, giving parents a few spare moments to catch their breath between preparations and shopping. 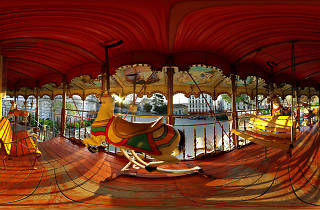 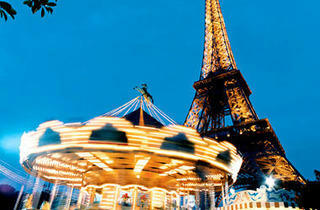 Here are some of the most iconic and well-placed carousels to ride in style.